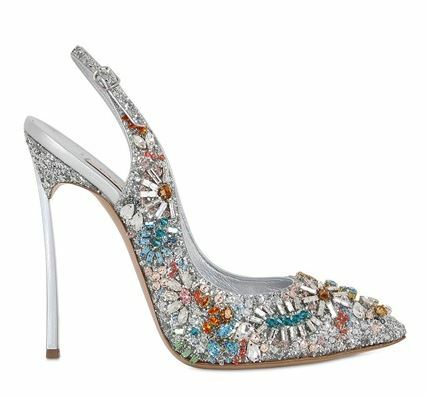 The fact that the words ‘Casadei’ and ‘Swarovski’ both appear in the product description for this shoe is a really good clue to the fact that the price tag is going to be the kind of thing you’re probably going to want to be sitting down for. In fact EITHER of those words on their own would signal a pretty expensive piece of footwear, but put them together, and you get a shoe which will cost you more than a month’s rent for most of us. 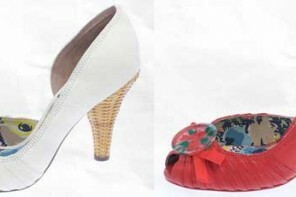 You’ll also get the kind of shoe that will make people do a double-take, of course, so that might just help justify the price for you – whether you actually dare to wear them, however, is totally up to you! I know that the one pair of jewel-encrusted pumps I own myself are beautiful to look at, but every time I wear them, I’m a little nervous that the jewels are going to fall off or get damaged in some way, I only paid something like £25 for mine in the Boden sale: if they’d cost me £1,770, I think I’d have to insist on being carried everywhere, just to make sure they came to no harm!